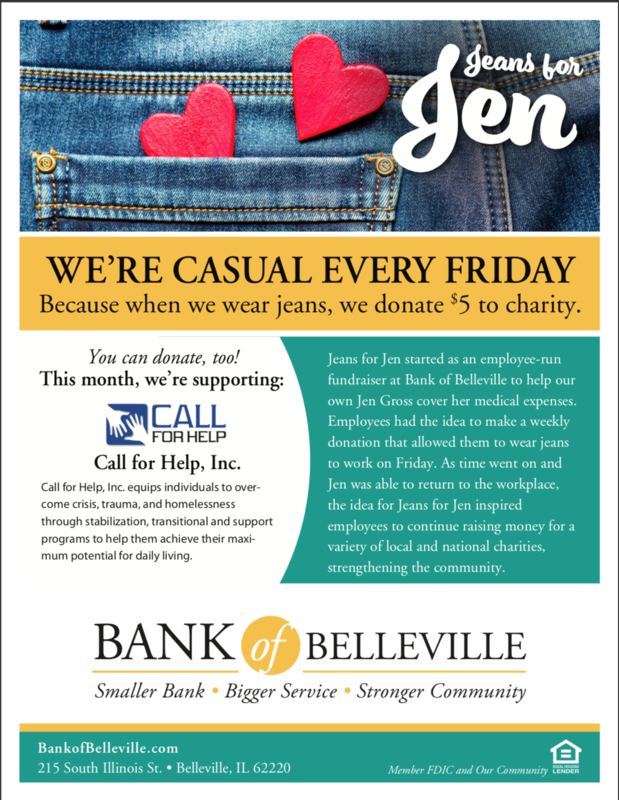 Jeans for Jen started as an employee-run fundraiser at Bank of Belleville to help our own Jen Gross cover her medical expenses. Employees had the idea to make a weekly donation that allowed them to wear jeans to work on Friday. As time went on and Jen was able to return to the workplace, the idea for Jeans for Jen inspired employees to continue raising money for a variety of local and national charities, strengthening the community. This month we are supporting Call for Help, Inc.